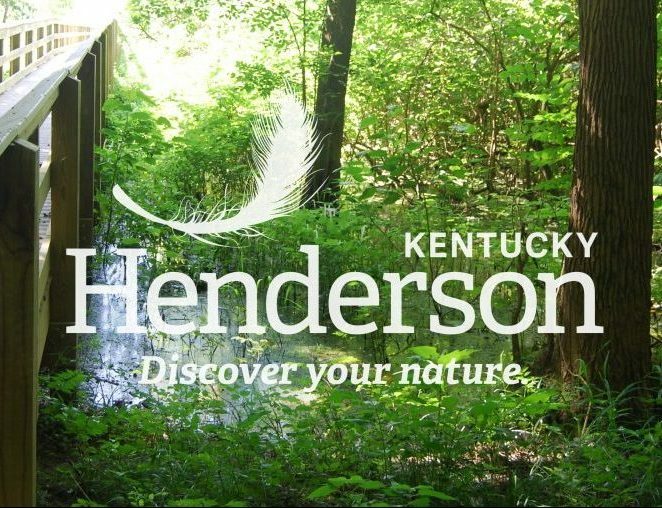 HENDERSON, Ky. (Nov. 14, 2018) – The Henderson Tourist Commission has received four prestigious Traverse Awards for Excellence in Tourism Marketing from the Kentucky Travel Industry Association (KTIA). The awards were presented at the Kentucky Travel Industry Association 2018 Annual Conference in Owensboro, Ky. on Wednesday, Nov. 14. Henderson Tourist Commission representatives accepted a Gold Traverse Award for the “Fresh Air is my nature…” print and digital campaign in the official 2018 Kentucky travel guide; two Silver Traverse Awards for the Country Store Spotlight digital series and recent www.HendersonKy.org website redesign; and a Bronze Traverse Award for the Iconic Henderson Tunic, a specialty item created in collaboration with fashion and lifestyle blogger Torunn Lee that is available for purchase in the Henderson Tourist Commission gift shop. Kentucky travel and tourism organizations and attractions can submit entries in multiple categories in the annual Traverse Awards competition. A panel of judges consists of marketing, public relations, and tourism experts whose work is conducted outside of Kentucky. Award criteria include concept, design, creativity, and measurable impact. More than 265 entries were submitted from throughout Kentucky for the 2018 competition. The Kentucky Travel Industry Association represents all segments of Kentucky’s $14.5 billion tourism industry. Tourist spending in Henderson County alone has increased every year for the past five years, providing tax relief on Henderson County households. In other words, if tourism did not exist, each Henderson County household would have paid $563 more in local and state taxes in the year 2017 to replace the taxes generated by tourist spending.